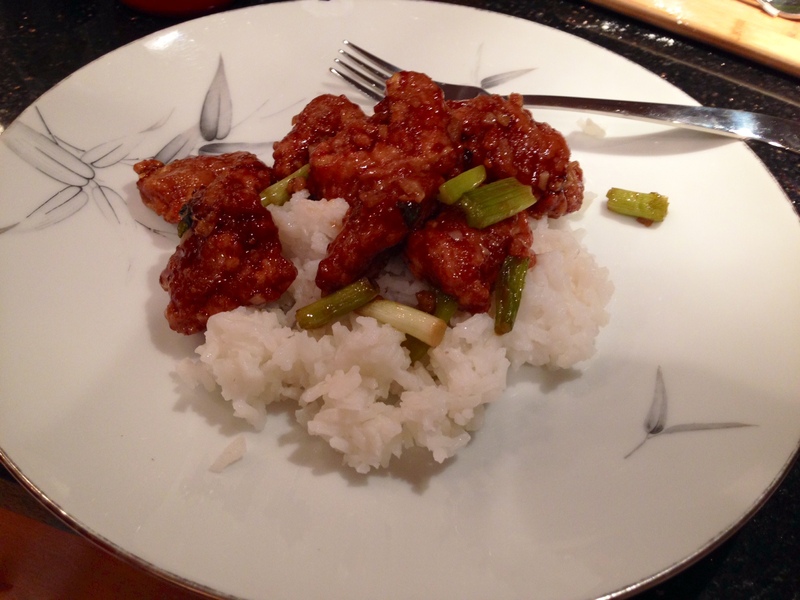 We followed the Serious Eats recipe for “The Best General Tso’s Chicken,” because Serious Eats is arguably the best food website on the planet, and their food lab experiments are the bomb. We prepped everything a few hours ahead of time, so we just had to cook when we wanted dinner, which was a good call. Since we’re newbies, no timer was used, but I’d estimate 20 minutes prep + 30 minutes cooking. Fair warning, I’m (Laurel) a terrible estimator. Brock’s taste test and approval! We had to buy a lot of ingredients to make this the first time (and will hopefully soon have a post about the gin we’ll make with the leftover vodka, because that’s good for nothing but Bloody Marys in our book) but with a decent pantry/freezer, and knowing that we’ll have random cravings for the General, we could probably pull this off anytime from here on out. And it wouldn’t take too much longer than waiting for delivery. Crispy! Adding part of the marinade to the dry mix is CLUTCH. 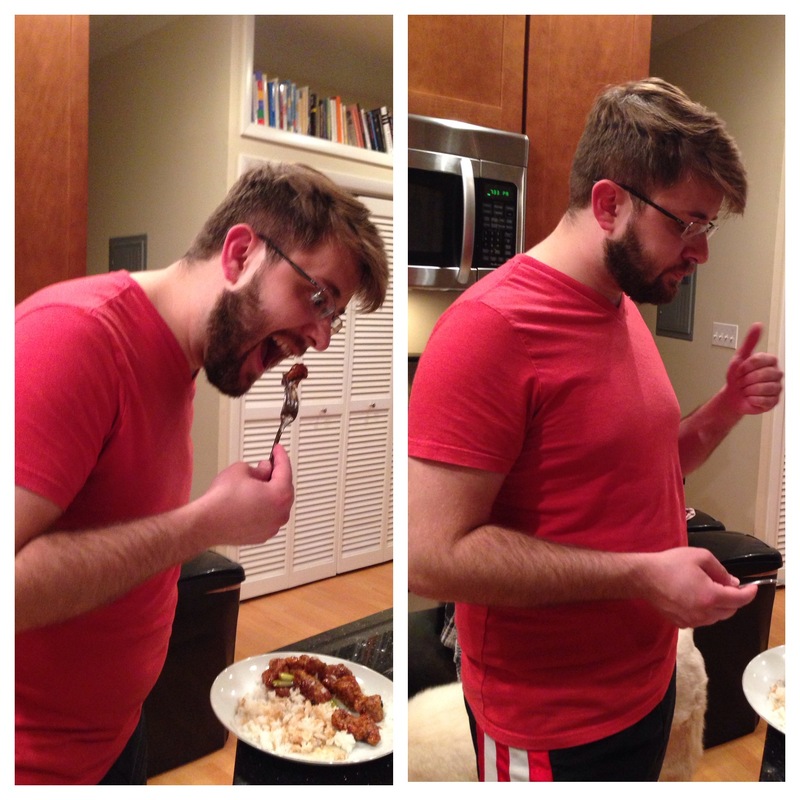 Nice balance of flavors, but not quite spot-on with the General Tso’s Brock craves. Bonus: No off-putting, uhm, side effects that sometimes come with Chinese take-out. Dish washer? As in, damn we had a lot of dishes to do after this was done. Live and learn. Leftovers (microwaved at work): Flavor = excellent, texture = no longer crispy (obv), overall though, happy with it. Better than reheating take-out. 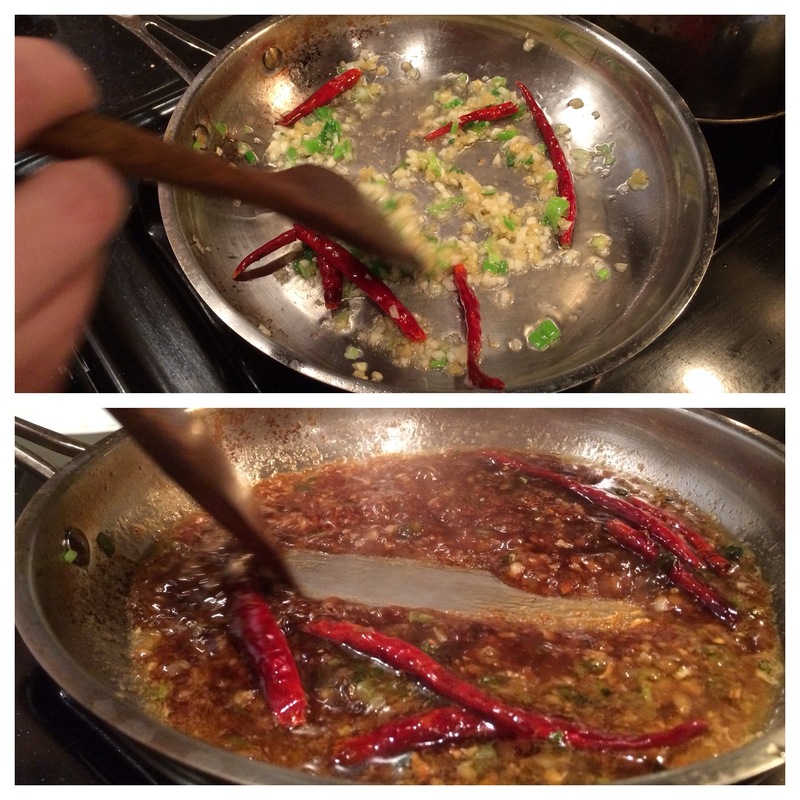 Play around with the sauce a bit … maybe add come garlic-chili paste … and add more green onions. We’ll break some of the chiles next time to release more heat, and taste test the sauce along the way more. Remember to buy a new candy/deep fry thermometer. Bottom line: When you want Chinese / General Tso’s, don’t you typically just want to be lazy and have someone bring you delicious(?) food you can eat for three days? Maybe. Definitely sometimes. So is planning and making and eating this General Tso’s worth it? Now we just need to try our hands at egg rolls. PS: Worth noting: With the leftover rice, ginger and single lonely chicken thigh, we made a riff on this ginger fried rice … added diced chicken to the leeks for the last five minutes or so, and stirred the eggs into the dish. Pretty awesome.